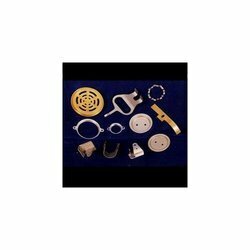 Our range of products include stamped parts and stamping parts. 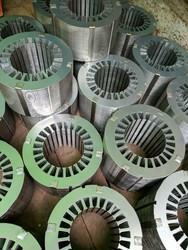 The Stamped Parts offered by us are fabricated from variety of metals with consistent accuracy. These are appreciated for excellent quality, optimum performance and utility. Available in various sizes, thickness, diameters and draws, these are durable, reliable, rust proof and corrosion and abrasion resistant. We confirms strict quality standards and check our products various times during manufacturing process. Looking for Stamped Parts ?